Gardening Tips That Anyone Can Follow – Anyone with a green thumb knows that gardening isn’t about just eating what you grow. That’s certainly one of the primary benefits. However, many people garden because of they simply enjoy watching something grow under their care. It brings about a peace and satisfaction that grows the grower just as much as the plant. Whether you’re an expert gardener or new to the game, the gardening tips below offers some helpful tips to making sure you reap the fruits (or veggies) of your labor. Plant vegetables and flowers that are native to your local area. These plants will grow better with less work than plants that are not native. Native plants won’t require much extra watering, as they will generally adapt to the amount of rainfall typical to that area. This will also reduce your need for pesticides and fertilizers, since the climate-specific plants will already be better equipped to handle the soil and pests in your area. When planting a garden there should always be space reserved for essential kitchen herbs. These are available either fresh or dried in the grocery stores and are always expensive. The truth is, mint, parsley, basil, dill all can be grown in almost any climate. These herbs are very easy to grow and can be used on a daily basis in the kitchen, and what is not used can be dried and stored for later use. If you don’t have space for a full garden, having an indoor window-sill garden can work just as well. You can even grow a garden in a can. When looking for great gardening tips, it goes without saying that the soil you use is very important. In fact, the above link to the Garden in a Can product uses a specially formulated soil that uses bio-char as one of its ingredients. As a demonstration of the importance of soil quality, you can pot seeds in containers each with different soil. As the seeds grow, you’ll be able to see a significant or subtle difference between the plants. Of course there are other factors that influence plant growth. But by going through this exercise, a gardener will better appreciate the value of quality soil. When your summer blooms have bloomed and faded away, remember to dead-head or prune the flowers. This means pinching off the flower heads. This will encourage new flowers to bloom longer next year, and it will also strengthen the plant. Since the flower heads have seeds, you can also save the flower heads that you have pinched off for planting at another time. Invest in a good pair of gardening gloves to protect your hands while working outdoors. When buying a good pair of gardening gloves, consider the type of work you’ll be doing. If you’re going to be cutting down thorny brush, then make sure you have the extra thick kind. If your gardening project is lighter-duty, then a thinner and therefore, more flexible pair of gloves will work well. Whether you’re working with rose bushes or with fertilizer, gloves can protect your skin from damage from both plants and chemicals. They also do a great job at protecting your hands from dirt or sap stains and make cleanup much easier. For an unusual, but effective, organic solution to weeding young plants, try “boiling” the weeds away. One of the safest “herbicides” you can find is a pot of boiling water. Just douse the weeds directly with boiling water, taking care to avoid damaging nearby plants. What this does it essentially kill the weeds by damaging their roots. The result is that those weeds are unlikely to regrow. This “out of the pot” solution provides a quick, cheap, and natural way of controlling weeds. A wonderful treat for your indoor houseplants is to take them outside periodically and let them bask in the glory of a summer rainstorm. You will be treating them to higher humidity and longer hours of daylight that far surpasses the stale conditions they may be getting indoors! You will want to minimize too much direct sunlight and make sure your plant containers have good drainage holes so that extra rainwater doesn’t collect to cause root rot. Just like with humans, some quality time in the outdoors will pay off with lush, healthy growth! When deciding on which plants to include in your landscaping projects, consider evergreens which produce colorful berries. The evergreens will add some color to your garden or yard, especially during the winter, when other plants have died or lost color. Other winter plants include the American Holly, Winterberry, The American Cranberry bush and the Common Snowberry. Another great gardening tip to remember is to save the water when you cook pasta for use in your garden. If you have ever boiled pasta in water, you have seen the cloudy state of the water when you drain the pasta. This water is loaded with starch, which is quite nutritious for plants. Make sure to let the water cool thoroughly, as hot water can damage and even kill plant roots. Save the hot version for the weeds. If you want to really expand your gardening horizons, you should consider garden subscription boxes. 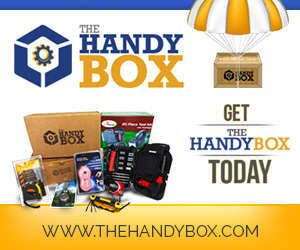 These are monthly subscriptions that send you innovative and practical gardening items. From tools, quality seeds, and books, there is something for both the gardener with an experienced green thumb to the newcomer who is just learning. 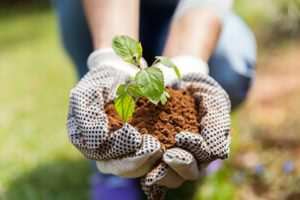 With the following above gardening tips, you’re gardening experience will be a pleasant and hopefully successful one. Gardening is a science at heart that brings multiple benefits to those who do it. They are rewarded with healthy yields and as a bonus, a peace of mind that comes from just knowing where your food came from. At the end of the day, growing your own food is healthier, better tasting, and cheaper than store-bought food. I hope you’ve enjoyed today’s gardening tips. Be sure to have the right tools for the job.